Betty Ensor Thomas ..... When it comes to SAS® some products just sell themselves. Take Time is one of those products for Women. With all the comfort features our customers are used to this style is just about perfect for what ails you (or not). Take Time is is one of the SAS® Styles that is Medicare Approved for diabetics. 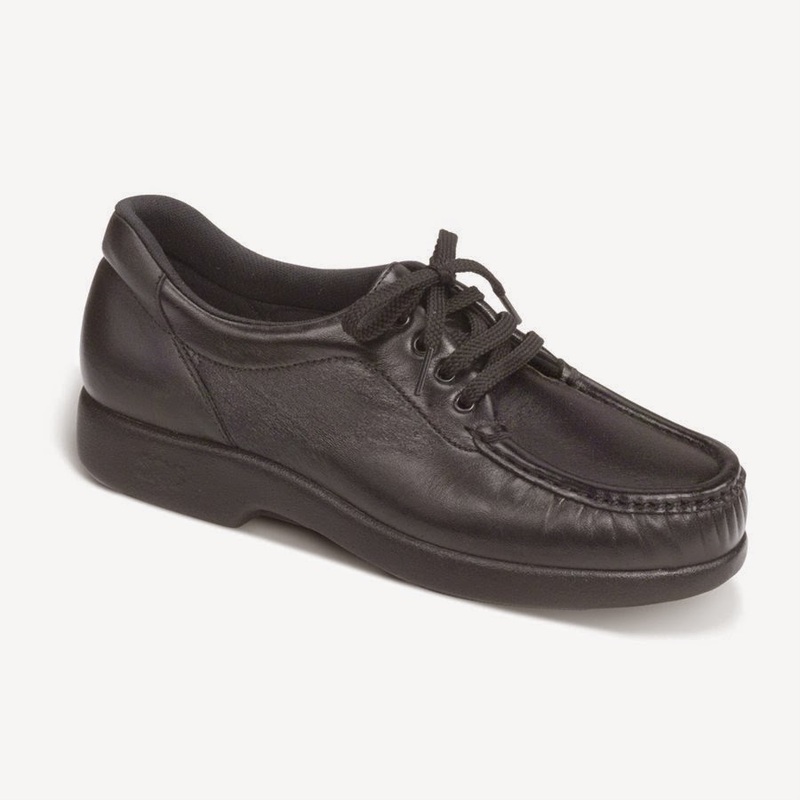 It's the Soft Leather Upper, roomy toe box and Added Depth that makes Take Time special. 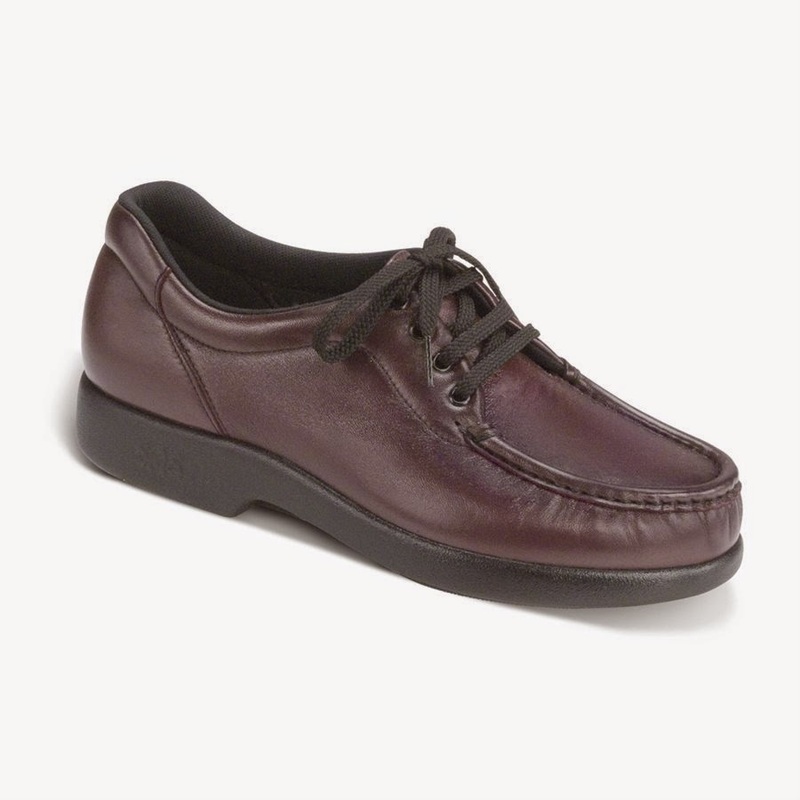 The Soft Leather Upper is Hand Laced Moccasin Construction. That means that the soft leather completely surrounds the foot and the soft gathers around the toe make it perfect for bunions or sore toes. Add a Padded Tongue, Padded Collar and a Firm Heel Counter and you can see where I am going with this. Take Time comes with the SAS Selfset® Foot Bed with a Contoured Arch Cushion that literally molds to the shape of the foot. The Green Odor-Resistant Tripad Ncushion the pressure points of the foot. We finish off with the All-Day Comfort Supersoft® Lightweight Sole which is made of long-lasting, molded polyurethane with millions of tiny air bubbles to cushion each and every step. Take Time is available in: Black and Wine. Drop by and try a pair of these comfortable shoes on.